Rowing is a low impact, non-contact sport which encourages inclusiveness. There are no bench warmers in rowing, everyone practices and everyone races. Esquimalt High School and the Gorge Rowing Club have a long-standing tradition of excellence. 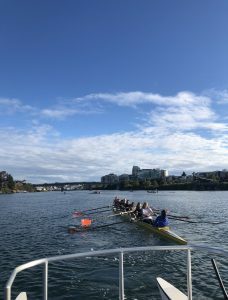 Esquimalt students, rowing under the GNRC flag have produced medals at prestigious events such as the Brentwood International Regatta and the Royal Canadian Henley Regatta. Esquimalt student Will O’Connell, who rowed for GNRC in 2008 and 2009, went on to be captain of the UVIC Men’s rowing team. Will led this crew to national championships in 2009 and 2010, GNRC and UVIC maintain a strong working relationship. 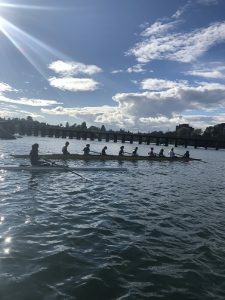 The GNRC community fundraises each year for a scholarship to be awarded to the top GNRC alumni currently rowing at UVIC.